Set of eight silver rings of various shapes, two of which are highlighted with 18ct yellow gold. 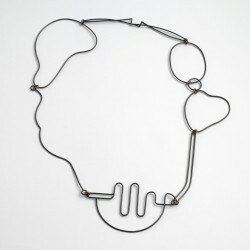 Silver wire shaped exactly to fit over a drawing of the shapes. 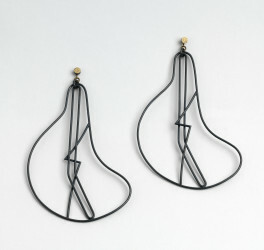 These shapes have then been formed into a set of rings. Silver oxidised and protected with Renaissance wax. Highlight of 18ct yellow gold. 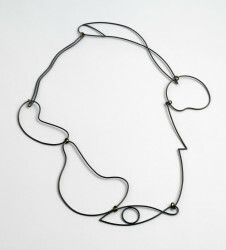 Overlapp For Big Head, Wendy Ramshaw, 1996, Crafts Council Collection: J250. Photo: Todd-White Art Photography.